Don't even consider ripping out your old bathroom fittings. Now there's an alternative that saves you as much as 70% of the cost of full on bathroom renovations. It's just like a facelift for your bathroom only cheaper! It's an on the spot, no mess re-enamelling process that transforms your bath, basin. shower base and even wall tiles -so that your "tired old family embarrassment " comes up looking and feeling like brand new. 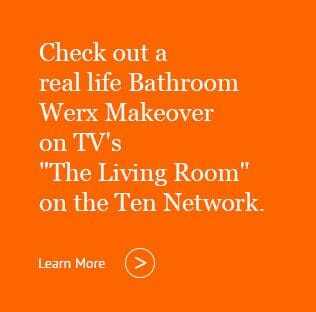 Bathroom Werx has been operating since 1986. They have refined the process so that you can be back enjoying your "as new" bathroom 24hours after completion of the work. . 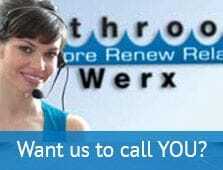 Spokesman for the group, Mr George Yammouni, invites you to call now on Bathroom Werx's "hotline" for an obligation free chat about transforming your bathroom.